Happy Wednesday Everyone! I hope you had a fantastic holiday weekend. Today I have a treat for you. 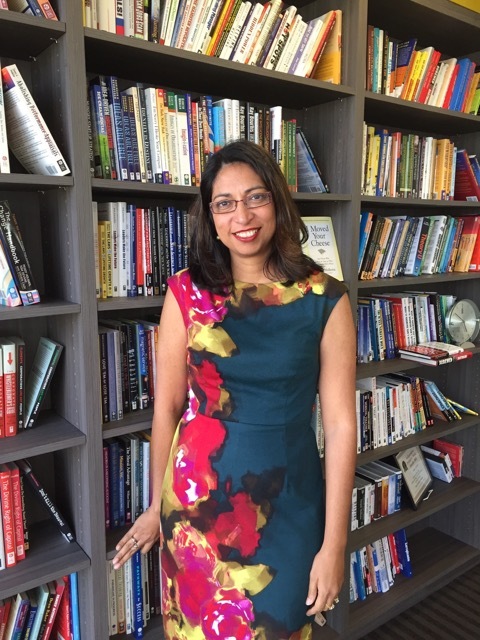 Fauzia Burke, who has spent her career in book marketing and publicity, is here to share some tips with us on mistakes to avoid. She has worked with Tim Burton, Sue Grafton, Deepak Chopra, and many others to promote their books. 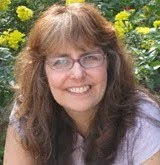 She is the author of ONLINE MARKETING FOR BUSY WRITERS: A STEP-by-STEP GUIDE. 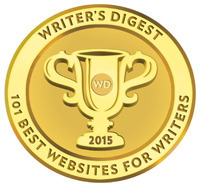 As authors, everything we do online builds our digital footprint. Since we all have limited time, here are some mistakes to avoid. Why It's a Mistake:Spending lots of money on a fancy (and expensive) website with all sorts of bells and whistles or spending $10K on a video trailer are not always a good use of time and money. You need a website for sure and you need a professional one because people will judge your writing and expertise by your website, but there is no reason to spend a lot right off the bat. Start with a professional and informational website and add features as you need them. Videos are increasingly important for book promotion, but videos don't go viral for most of us, so no need to bet the bank on it. publication date. They should start making a plan 1 year (or more) in advance. I use the following formula with my clients: Design + Engagement + Visibility = Success. Start with the design elements by launching a website, newsletter and social media profiles, created in a cohesive way to build your brand identity. Engage by blogging, sending a newsletter and building your following on social media. The more time in this phase, the better. Plan your visibility (distribution, marketing and publicity). All this takes time and a thoughtful strategy. Why It's a Mistake: Choose one or two social media platforms to start. Don't feel like you have to do the next shiny thing online or keep up with all social media platforms. Just start conversing with your audience by selecting a platform where you think you will find your readers. adjust accordingly as you build your community. Why It's a Mistake:You can't be a bullhorn. You want people to talk on your page. Don't get wooed by big numbers. You want a smaller community that's engaged as opposed to a large audience that's not engaged. Look at ways to engage the audience you do have. Take good care of the people who have given you their permission to talk with them -- whether that's through a newsletter, blog, or on Facebook. Give them your best content. Authors remember consistency is one of the most important ingredients of your online marketing plan. Stay the course. 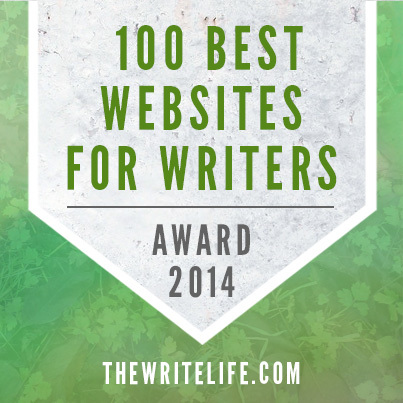 Remember if you don't show up, your readers don't either. 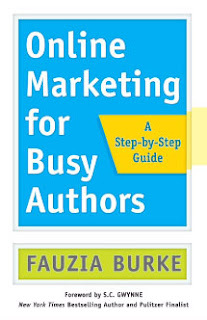 Fauzia has generously offered a copy of ONLINE MARKETING FOR BUSY WRITERS for a giveaway. To enter, all you need to do is be a follower (just click the follow button if you’re not a follower) and leave a comment through June 14th. If your e-mail is not on your Google Profile, you must leave it in the comments to enter the contest. 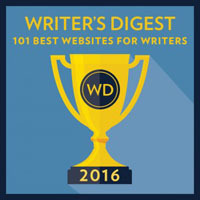 If you mention this contest on Twitter, Facebook, or your blog, mention this in the comments and I'll give you an extra entry.This is for U.S.
On Monday I have a guest post by Cassandra Brown, a freelance editor, with a query, synopsis, 10 page manuscript critique, or 30 minute consultation--winner's choice. On Thursday next week I'll be participating in the Debut Author Book Giveaway Hop. I'll have both YA and MG debut books to choose from. The Monday after that I have a guest post by debut author Abby Cooper and her agent Rebecca Sherman and a query critique giveaway and giveaway of her MG contemporary STICKS AND STONES. Fauzia is so right! Start marketing early. In my seminars, I stress how important it is to start long before the book comes out. But not on too many platforms. I was on 25 at one point - not good. Ouch 25 is certainly too many. Thanks for the compliment and clearly you are sharing good information in your seminars. This is some great information. If she's worked with Tim Burton she must know what she's talking about! Thanks Bish. I appreciate the support. Working on Tim Burton's book was a real honor. Although I never spoke to him, his people were fabulous. Such fabulous advice. (Yikes to Diane! 25 platforms?) To be fair, I maintain about 7 platforms, but I only do 3 well. It's impossible to fracture the brain that far. Great advice. Sticking to 4 platforms...that's all my brain and time can take. You bet. Even two done well is better. Thanks for sharing your tips, Fauzia! Thanks for sharing these great tips, Fauzia! You are absolutely right about starting early, many writers make the mistake of starting too late. So true. I have had authors call me and say "I am holding my finished book in my hands, what should I do now." There is plenty we can do, but it's a lot more effective if you start early. Wow, some great advice here. I think it might also be important to emphasize consistency. For a long time, I had various email accounts used for different blogs and forums. People on one site might not realize I was the same person as on another site because I wasn't being consistent about anything. Different usernames, different topics, different email accounts. That's probably fine when you're a goofy kid just poking around on the Internet but if you're trying to build a platform, it seems like it might defeat the purpose. Great point Jamie. When people ask me for one piece of advice I always say consistency. And yes all activities should be under your name and not the titles of your book. Thanks for the excellent feedback. Congrats to Fauzia! Her book sounds like one I need to read. Over the years I've cut back on social media, and it's so true that you should start thinking about marketing early--probably even before you write page one of a new book. Heh. Thank you. I appreciate the good wishes. I usually tell clients to start thinking about their marketing as soon as they have an idea for the book. Really useful stuff: thank you! It's so hard to know where to start as a writer. You just feel like you're facing an ocean of choices. I'll definitely use this material for the writers I work with. I need this book! Marketing is so hard for me. And I wish I had more time. Thanks for the tips, Fauzie! Thanks Gwen. Honestly marketing is hard for everyone because it is so labor and time intensive. I've tried to write the book with that in mind. Hope you find it helpful. I think it's especially important to figure out your brand and stay focused on that. Writing another vampire/demonhunter/shapeshifter paranormal romance just drops you into a sea of a thousand other books that all sound the same as yours. Come up with a special twist for your story and turn that twist into your brand. Yes indeed. 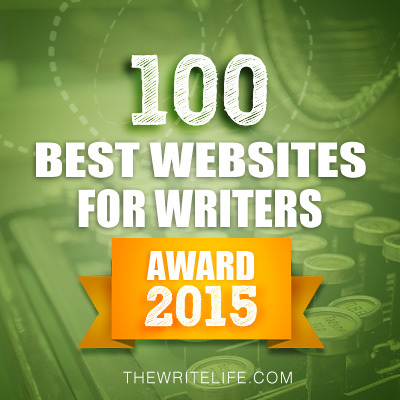 I usually tell people to focus on their brand and make their writing the best. You want readers to want YOUR book not just a book. This was really great advice, Fauzia! I especially liked what you said about cultivating a small audience rather than focusing on numbers. I hope you enjoyed your weekend, Natalie! Great. Doesn't that advice suddenly make it all so doable? Work on getting small following on social media and if you engage with them they will be more valuable than 10,000 who don't care. I started a year before my first book was released. Probably should've started sooner even. Some very good advice and tips. Congratulations on the release of your book! This is great advice. One thing I really don't appreciate is someone always posting about their book. That bull horn is too loud, annoying and--as you point out--a mistake. Thank you. I think the people who only advertise about their book were given poor advice that social media is a sales channel. It's obviously not. Some great advice on marketing. All success to Fauzia. How lovely of you to wish me all success! I'll take and wish it right back to you. It's great to meet Fauzia Burke and I'm Bookmarking this page and giving a Tweet as well! So many great things to think about! Thanks!! I can tell just from these tips that the book is filled with solid, practical information. Thanks for the chance to win a copy. I'm grateful Carl. Good luck. Wow, Fauzia has a lot of great tips and so true, too. It's funny that some things should be common sense, yet some people who use social media seem to have none. Thank you. I think everyone tries to do their best. There is just a lot of mis-information out there, and authors sometimes follow bad advice and waste time and opportunity. Thanks Fauzia! I am in the very early stages of beginning this quest. The book sounds perfect. The book sounds amazing. Thank you for the interview. Thanks for sharing. Great advice. A great article! I see Mistake #5 from so many authors, particularly on Twitter who post one ad after another for their book and have no engagement with their followers. Sometimes the same people have really great, informative blogs, so there's a real disconnect within their "brand". You've made it so clear that it's "what not to do". Thank you. Glad it resonated with you. Nice Information of social media maketing! I personally really appreciate your article. This is a great website. I will make sure that I stop back again!. Thanks for clearing up the muddled social media world. A website is about all I can handle now but can see my presence needs to be expanded. One step at a time my friend, and a professional website is a great first step. Great advice (and happy to see I'm already following some of it)! And I am always about not breaking the bank. =) Also, I love Fauzia's dress, so pretty! Thank you for sharing Fauzia! Now I feel a little bit better about my bare bones website from 2011. No one can accuse me of overspending there! Thanks for all of your helpful advice, Fauzia! I always learn a lot coming here, Natalie! Too much pushing will have the adverse effect. Terrific post. Very informative. Thanks for this. I'll pass on the drawing though. I am way, way behind on everything right now. Thanks for the advice from Fauzia! Breaking it down is always helpful and I think whatever we do, the personal touch is key. Thanks Fauzia, very helpful. You may answer this in your book, but I'm always wondering what people send out on their newsletters and such a year before their book comes out? Just random stuff about themselves? Thanks. Thanks for trying to make marketing more understandable for those of us who hate the process. Yes, I know it's necessary, but I'd rather eat lima beans. Fauzia, Would you please tell me how I can create a digital brand in the online? I am now writing a book and thinking about it's publication in August of 2016. I do believe book marketing should be effective and appropriately so that there is no chance to become fail to make an awareness in the online.The people need help with essay writing now so that they can keep themselves updated with the changes in the book marketing strategies. Thanks a lot Fauzia for your effective explanation. Online marketing is so important and valuable for a writer who is wanting to let the book publish in the next month. Marketing and advertizing helps to get more and more potential customers from the online and offline. The custom writing service is necessary for the development of the modern online marketing community for the author and writer of the books.